If you are planning an updated teen room this year, there are a number of pieces that can transform your teen’s room into a welcoming, refreshed space. As any parent knows, the teen years bring about a number of changes in what is deemed acceptable and what is treated with utter horror and rolling eyes. Making the transition from a child’s room to a teen’s room is no small feat. Luckily, VOX is here to help. Our Young VOX collection offers a selection of hand-chosen furniture that is sure to meet the often critical approval of your emerging adult. To give you a taste of what this collection has to offer, we have highlighted some of our more popular teen room pieces. 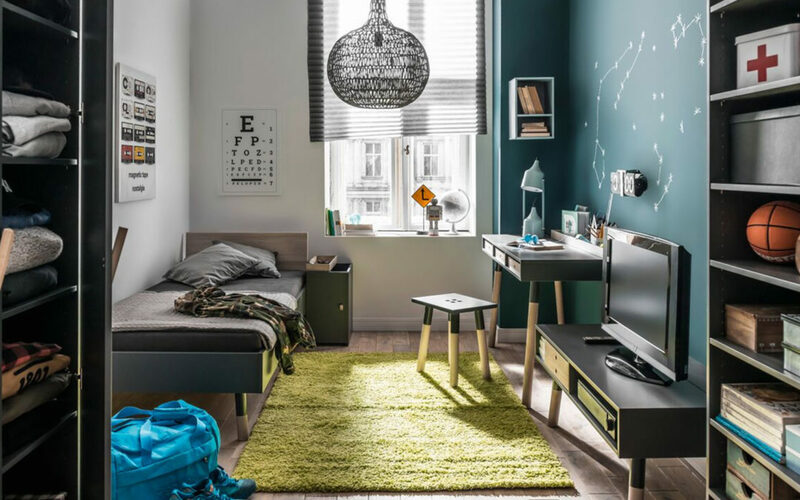 From daybeds to movable desks and smart storage, these teen rooms are sure to elevate your teenager’s room to the next level of cool. Daybeds are versatile, stylish, and practical. Teens will adore the Spot Tipi Daybed, which has a contemporary A-frame design that can be used to create a retreat. Throws, sheets, netting, blankets, scarves, fairy lights, bunting, fake flowers, and various other things can be draped over the frame to create a quiet space that teens are sure to appreciate. It is made from high-quality materials and solid wood tipi frame, with a separate storage drawer and extra length mattress also available. The Evolve Sliding Desk has wheels, making it easy to slide over a single bed. For teens who love to chat online and offline, multi-tasking and socialising like only teenagers seem to do, this bed is sure to be a practical addition. The doors and drawers of this desk have an easy touch-opening system, along with smooth rails that allow them to slide open with ease. Wall shelves, headboard storage and cabinets are available separately. This desk works especially well with the Evolve Couch Bed, easily sliding over the bottom of the bed to create a cozy study area or social area for your teen. 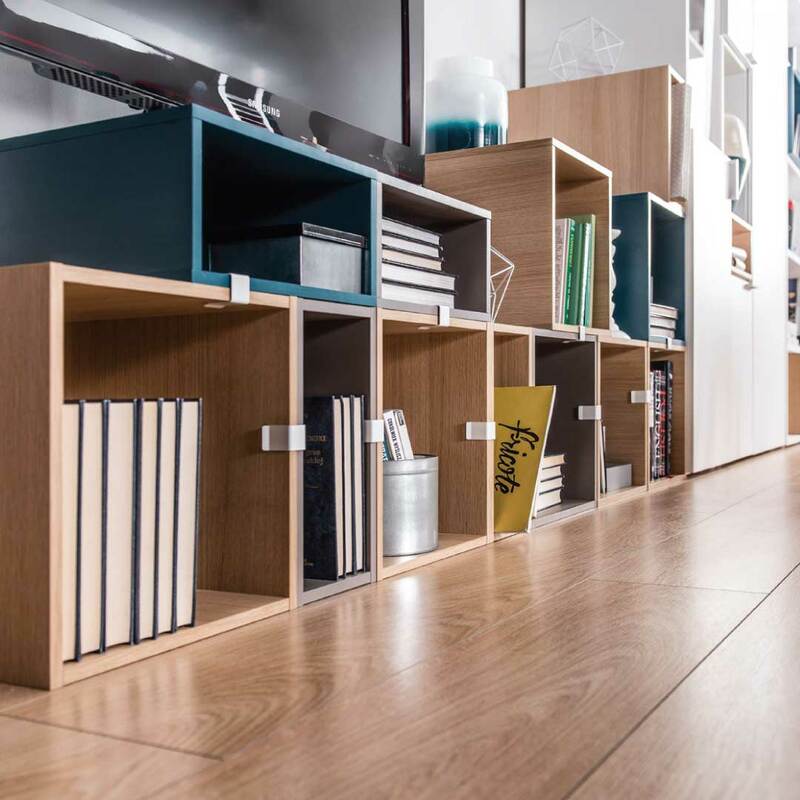 Stackable storage is an excellent solution for teenage bedrooms, as it allows you to add as much storage space as you need without the risk of having too much or too little space. The 4You Storage Chest Set is not only a savvy space solution, it also looks great, too. Functional and decorative chests in various sizes and are stacked together and secured with chest buckles. Small and large chests in oak, charcoal, and teal add plenty of variety to your teen’s space. 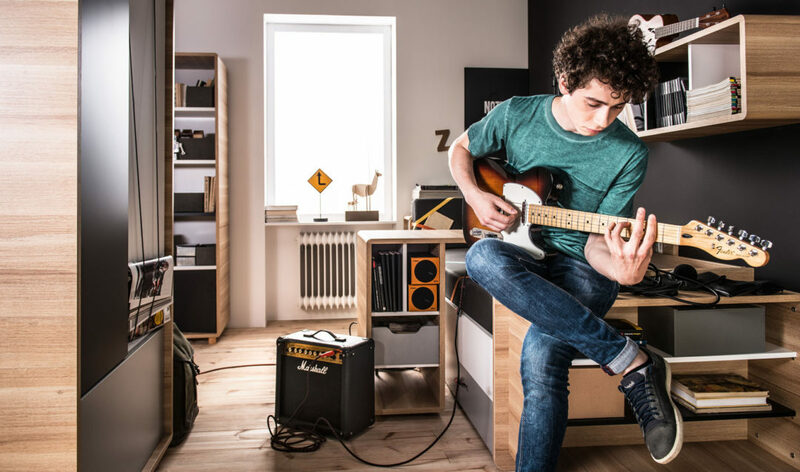 Whatever pieces you decide to choose for your young adult’s room, VOX is here to help you create the perfect teen room for 2018.